Coke County Museum - 1970 Coke County Jail, Robert Lee, Texas. 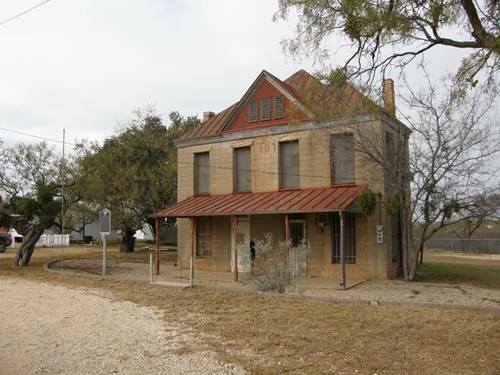 Successor to county's first one-room jail of rough lumber built about 1891, this building was erected 1907 by Southern Structural Steel Company, San Antonio. Officials who let the contract were P.D. Coulson, county judge; C.M. Barger, S.W. Gaston, T.J. Goss, M.C. 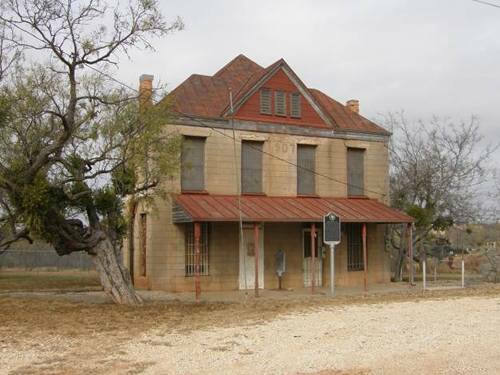 Jones, Commissioners. At least seven early sheriffs lived downstairs, acting as jailkeepers. The prisoners averaged about four a month, jailed only for short terms for minor law violations. 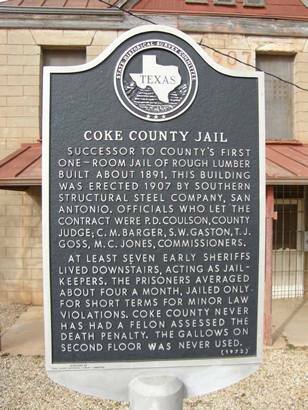 Coke County never has had a felon assessed the death penalty. The gallows on second floor were never used.